Love is a dominant theme in Western popular culture. It has become central to the meaning of everyday life, propagated through the media and the market. Being in love has become idealised. With the demise of institutional religion in the West, romantic love has become the dominant form of inner-worldly salvation. In Foucault’s terms, it has become a key component in the ‘arts of existence’ and the care of self. 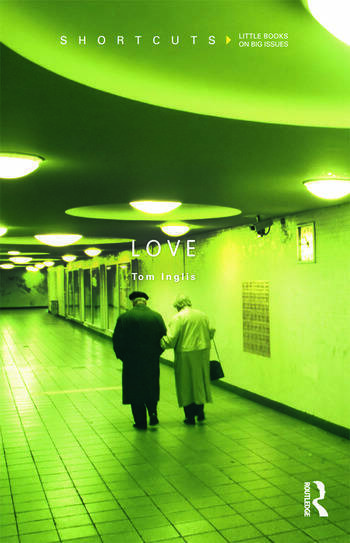 In this highly accessible introduction to love of all kinds, Tom Inglis gives a clear, concise picture of how love shapes, and is shaped by, society. How is romantic love linked to capitalism? What is the difference between romantic love and loving? How is love connected to separation, loss and grief? Inglis addresses all these questions, and looks at how today’s changing circumstances – globalisation, mobile lives and a new rugged individualism – have changed our perceptions of love and relationships. Love is an engaging, thoughtful introduction to the subject for students, academics and general readers alike. Tom Inglis is Associate Professor of Sociology in University College Dublin. He has written extensively on religion, sexuality, globalization, the media and love, particularly in his books Moral Monopoly (second edition, 1998), Lessons in Irish Sexuality (1998), Truth, Power and Lies (2003), Global Ireland (2008) and Making Love (2012).